I'm also going to sell my blue cabinet below. I'm also asking $300. It must be Spring because I always feel like decluttering this time of year!!! Your hutches are beautiful! I'm sure they'll sell quick! Thanks for hosting! Thanks for hosting Cindy! Your hutch is gorgeous and ought to sell fast! Thanks for hosting! That hutch is beautiful and I'm sure it'll go quickly! p.s. How's Lauren? Senior year, right? Must be so exciting! That's a beautiful hutch! I'm sure you won't have a problem selling it. Especially at that price! Thank you so so much for hosting!!! I wished I lived near you...you'd be one-hutch-less right now...;) Have a great weekend! Can't wait to see what you do with the extra space Cindy! The blue hutch is my favorite. Thanks for being a great host again this week. You should have no trouble selling either of your beautiful hutches! Everyone feels like a change once in a while. Thanks for a great party! Thank you for hosting! I would wish you luck selling your hutches but I really doubt you'll need it! They are lovely and you are asking a very fair price! 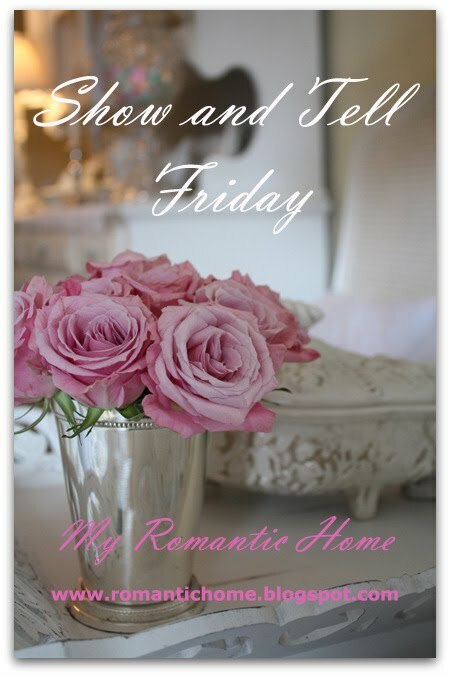 Looking forward to seeing what changes you make this spring in your beautiful home! Wow, Cindy, you are brave to sell your beautiful hutches. 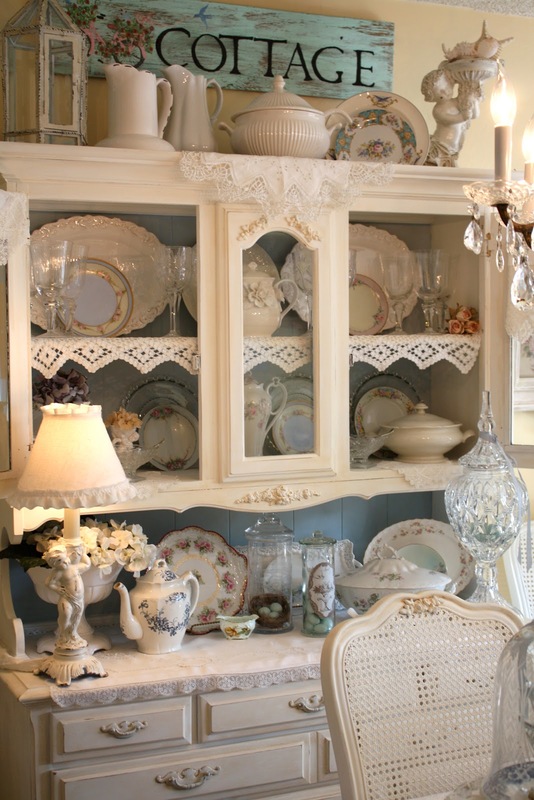 Where are you going to store your beautiful china? 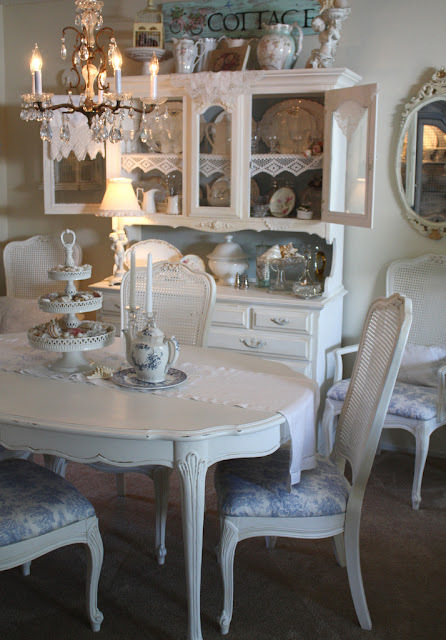 I was just thinking this evening that I wish I had a white hutch....but where would I put it!!! My house is so full already. You have all of your pretty dishes so nicely displayed. Thanks for hosting! You shouldn't have trouble selling either one. I love your blue cabinet. I wish I had room for it and lived close by. :) Thanks for hosting. Neither one of those will last long at all. I would sooooo take the blue cabinet off your hands if I lived close! Both pieces are beautiful! Thanks for hosting. I wish I was local those are beautiful and a very fair price! Oh, Cindy! I've always loved your blue cabinet. Oh, how I wish I lived close to you! Hope you have a good weekend, and hugs to you and your dad. I visit your blog every day. Just wanted to say what a lovely home you have....surely you have a background in design. Cindy, your hutch is gorgeous! Just linked up, hope you can stop by! Love your hutches. Good luck, they will sell quick! Thanks for hosting another great week of beauty! If I just lived a little closer... but someone is going to love those furniture pieces! I am excited to see what you replace these pieces with. They will sell fast. I love the blue hutch. Thanks for having us. Whoever gets that gorgeous hutch for $300 is getting quite a bargain! Love it. Thanks for hosting. Always thrilled when I have something to share here. You should have no problem selling both pieces. They are beautiful. Wish I lived nearby, I'd be wanting them both. Looking forward to see what you do new with the space. Hope you, your family, and your Father are doing well. Cindy you worked so hard on both of those pieces. You should not have any trouble selling them. They are beautiful and I am looking forward to seeing what you are up to. I know it will be something good. oh there are so many wonderful places to visit. Thank you. I enjoyed my visit to your lovely blog. Hugs! Such beautiful goodies! They all invoke such a feeling of warmth. Love visiting your blog. 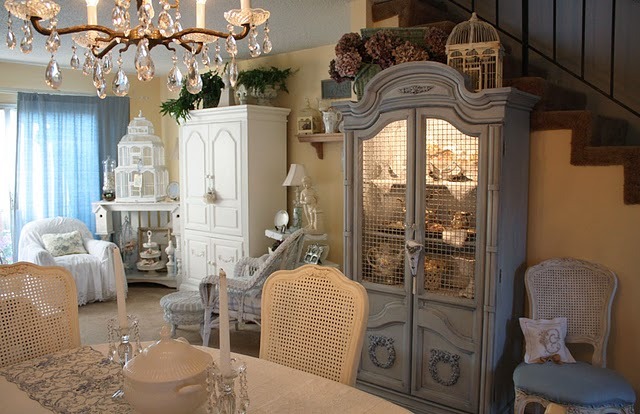 That hutch is beautiful. I'm sure they'll sell quick!